You’re here because you want to know how to wash waterproof jackets. First, you should always – always – read the tag on any technical gear before laundering. While this article will detail how waterproof/breathable materials such as Gore-Tex, H2No, and DryVent should be cared for, it is rarely the case that these are the only fabrics in a garment. If your garment includes fabrics made of wool or silk, they will require different care. If your garment includes down as an insulator, it will require different care. The tag inside the gear will always tell you the best practices for how to wash waterproof jackets. How do I know when to wash my rain gear? Fairly often. Waterproof/breathable fabric works best when it’s kept clean. Learn more about How Waterproof Breathable Fabrics Work. Keeping the fabric free of oils, sweat, and dirt, etc. helps the material breathe. The durable water repellent (DWR) coating is also renewed by washing and drying. If your rain gear can shed moisture with DWR and expel heat and humidity through the waterproof/breathable fabric, it will be much more effective – not to mention comfortable. We recommend that you wash your rain gear after about 40 hours of use in the rain, or if you pick up noticeable amounts of dirt, oil or odor. What happens if I don’t wash it? Some people don’t wash their rain jackets because they aren’t sure how to wash waterproof jackets. This can lead to some problems. 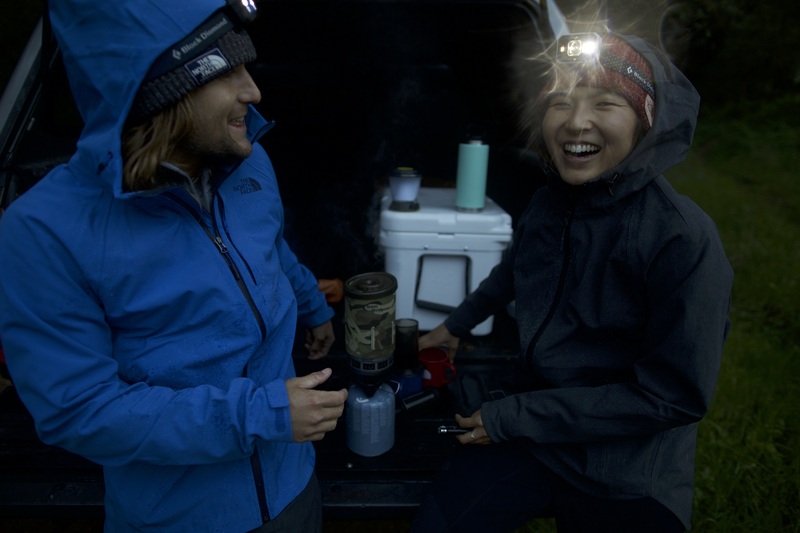 Other than attracting flies, you will probably run into decreased DWR performance – this can allow the face fabric to become saturated, which can cause your gear to feel heavier. You will also experience decreased breathability, meaning that warm, humid air can become trapped in your garment. When this air condenses on the liner, it can feel like a small leak in your gear. One way to describe stinky, unwashed gear is “blerghy”. How to wash waterproof jackets. Close all zippers, snaps, tabs, and fasteners. 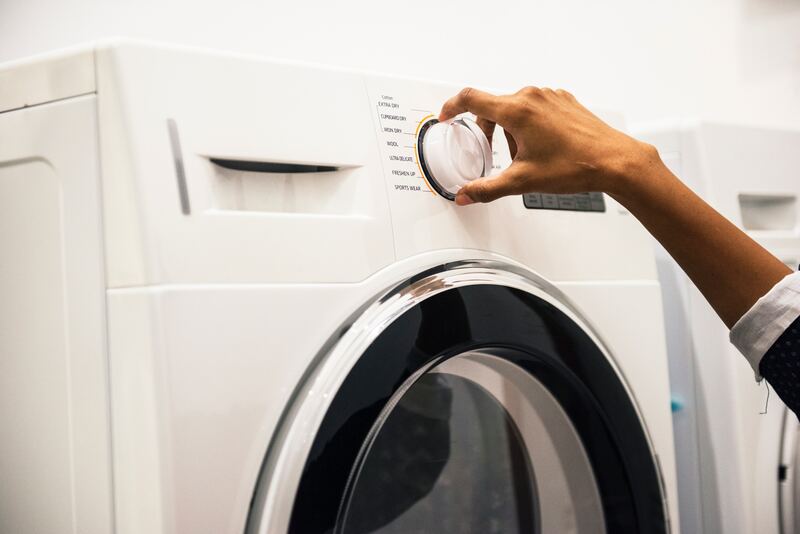 Most jackets call for a wash – preferably in a front-loading washer – on a warm permanent press cycle (105° F) using a small amount of gentle liquid detergent. The NikWax Tech Wash that we carry is a good choice for detergent. Avoid using detergents that contain fabric softeners, conditioners, stain removers, or bleach. Most of the time, powder detergents should be avoided – again, see the care tag. Rinse twice, and select a cycle that doesn’t vigorously spin the garment, as this will result in the material becoming creased. Again, always read the tag to ensure that best practices for your specific piece of gear are being followed. While it is probably best to wash your rain gear at home, if you must have it professionally dry-cleaned, be sure to request the use of clear distilled hydrocarbon solvent for rinsing. The cleaner should be able to reapply the DWR treatment before drying. How do I dry my waterproof jacket? Line dry or tumble dry. The key is warm (not hot) and gentle. The low heat from tumble drying helps to reactivate the DWR coating on the jacket, meaning that water should bead up and roll off better. Once your item is dry, dry it 20 more minutes on low heat and a gentle cycle. If you don’t have access to a dryer, you can line dry and then apply low heat from an iron. Put a towel between your item and the iron to prevent the heat from harming your face fabric. Avoid using steam in this step. I dried my product, but water still isn’t beading up! Do not despair. Your DWR may have worn off, which is perfectly normal. Thankfully, you can go pick up some right here at udans.com or at just about any local outdoor gear retailer. DWR treatments usually come in one of two methods of application: spray-on or wash-in. Consider that spray-on can be used on just the outside of your garment (where it’s needed), whereas the wash-in variety will treat both the inside and the outside of your product. Follow the directions on your DWR replacement bottle for best results. I have a specific product I want to wash, but I am having trouble reading the tag. Visit the website of the brand in question. Almost everyone has a page devoted to how to wash waterproof jackets. If you have a Gore-Tex garment, there is even a support number that you can call: 1-800-431-GORE.